Yesterday president Koroma addressed the special session of the UN General Assembly on Ebola – live from the offices of the World Bank in Freetown. 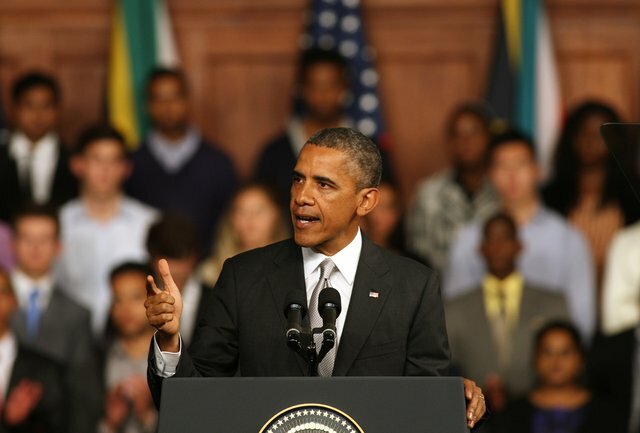 He called on the international community to do more to help save lives in Sierra Leone. He fell far short of calling on the UN to come to Sierra Leone and put in place a robust, concerted and coordinated approach to tackling the virus, not only in Sierra Leone, but across the West African sub-continent. And critics would no doubt see this as a serious lapse of judgement and a failing on the part of the president, who is refusing to accept that after six months of fighting the Ebola virus with all that the nation has – along with the enormous support of the various health agencies on the ground, the virus is just as virulent today as it began in March, if not more destructive. With almost 3,000 people now killed by the virus in West Africa, and Sierra Leone and Liberia recording the highest number of deaths, calls for a change of the Ebola crisis management strategy is getting louder. And the Sierra Leone Telegraph has for long been advocating for a UN coordinated strategy in Sierra Leone, if not the whole of West Africa. 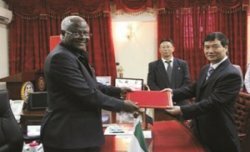 Even China, is also now saying that they are willing and prepared to work in Sierra Leone, under a UN coordinated governance framework. The British government has long held the view that a UN coordinated approach is the best way forward in the fight against Ebola. A few weeks ago, the International Red Cross and Red Crescent, said that it favoured a regional wide strategic approach to managing this crisis in West Africa. 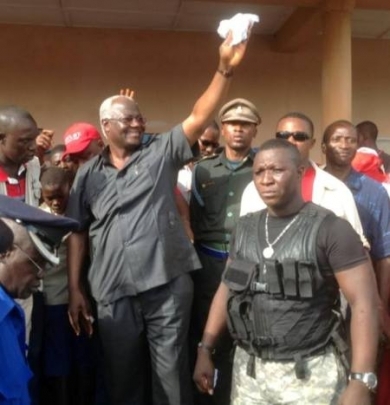 So what does president Koroma want from the World? “Our international partners were slow to recognize the threat for what it was, and when the recognition did come, it came with a flurry of fear that led to banning of travel to and from Sierra Leone and our region. “As a country we have taken extraordinary measures, including declaring a state of emergency, shutting down the country for three days to get over 27,000 health educators onto every household in the country, and reallocating millions of dollars from other vital services to this life and death struggle. “We salute the efforts of our partners, but containing this outbreak requires greater international support in the following areas: more treatment centres, labs and equipment; more clinicians, nurses and other health workers in treatment and holding centres; more training for national doctors, nurses and other health workers on safe and effective clinical and nutritional interventions; lifting of blanket bans of flights to and from our countries; logistical support to improve response time, including Ebola customized ambulances, logistics experts, and information managers,” president Koroma told the UN General Assembly. 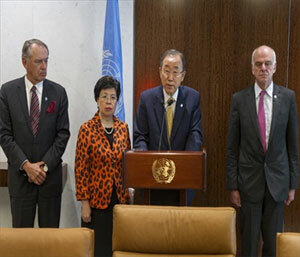 Will the United Nations impose its will on a president who is in denial, in order to save the lives of 6 million people? Will the UN take full control of managing and coordinating the Ebola crisis in West Africa? Sierra Leoneans, the gentleman has failed the nation. President koroma still has his hidden agenda for a third term, so calling on the UN to take the lead fight ebola in Sierra Leone while time is not on his side is not in his interest. When his wife the first lady made that unfortunate statement a week ago, implying that ” GOD IS PUNISHING THE PEOPLE OF SIERRA LEONE FOR THEIR SINS”, little did she realise that in fact GOD is diverting their wicked plans against the Sierra Leoneans. With the world watching developments coming from Sierra Leone with several ebola deaths, all because of President Koroma’s failure to take timely decisions, he and his government cannot continue on to a third term. The international community now know that everything his government was saying about development is in fact ZERO !! !